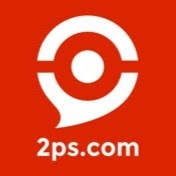 How to gain the trust of your fellow 2PS experts? Here is a trick so that they see you very often and that they do not forget you anymore. Even if there was a highway sign advertising your services, the chances of getting a new customer are low because trust cannot be bought. On the other hand, it can be shared! When an expert recommends you to one of his clients the success rate is VERY high. 😏 So how do we make sure that happens? The trick is to become a 2PS "Event Organizer" and become the star of your network. You are in a league: Ask now the right to organize official events 2PS to your League Director. Invite members to gather in a fashionable café, friendly restaurant, or coworking area for an exchange meeting. The formula is simple: you ask everyone to present their service and the problem they are solving in less than 2 minutes. Then you ask the others if they have clients for this expert. "What's in it for me?" As a master of exchanges, you have an influence over others. It is the first step towards trust. Be fair to everyone and do not monopolize the floor to maximize your impact. Tip: This is the perfect time to gather very strategic information: the strengths and weaknesses of other members. Keep them! Point 2 will surprise you! Taskforces have the right to organize internal events. Often these are videoconferences. But if you propose to the members of a taskforce to meet and develop together a new "flyer" or some "slides" of a presentation, you will surely have success by joining business with pleasure. "What's in it for me? ": You offer your colleagues a way to coordinate. As a neutral third party, you can help them get an outside opinion on their offers. That's always appreciated! Tip: This is the time to use the information collected in point 1 by proposing to each member to fill his weaknesses through the strengths of another member. It's good to be a mirror. But it's even better to propose simple solutions to look good. Hold one of our 2PS "how" conferences and provide useful information to the public. You don't have to look very far. The 2PS network is full of experts. Some are good speakers. Find two or three who might be the perfect panelists on a trending topic. Be prepared with them, but ask the "disturbing" questions! "What's in it for me? ": As a facilitator, you will have a good visibility, and take advantage of your experts' credibility. With your "disturbing" questions, panelists will be able to give powerful answers that will leave a lasting impression. Tip: The consultants, proud of their performance, will be grateful and they will not forget you when the time comes to refer you. And if you promote your event well to potential clients, you may even get customers right there. The royal way to the role of league manager... to earn even more. 2PS event organizers have a great advantage over other members. They have access to 2PS tools normally reserved for the League Managers. If you want to create your own consulting firm, using the impact of the 2PS brand, and become a League Manager, organizing 2PS events is the way to go.